← What a FishFry this would be! 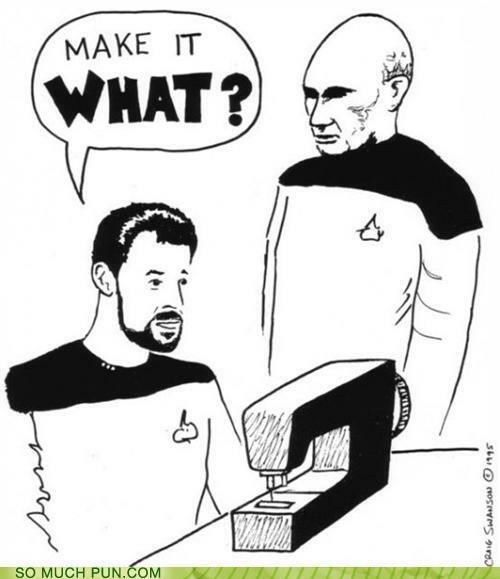 This really made me laugh, but unless you know Star Trek Next Generation you may not understand. Jean-Luc Piccard, the Captain of the Enterprise, famous for rounding up his staff, getting the plan together then uttering his line “Make it so” to get the action going. I grabbed the image from a pun website but the comments are hilarious. You really need to go to the website and read them. This entry was posted in Opinions and tagged funny, Make it So, Star Trek. Bookmark the permalink.